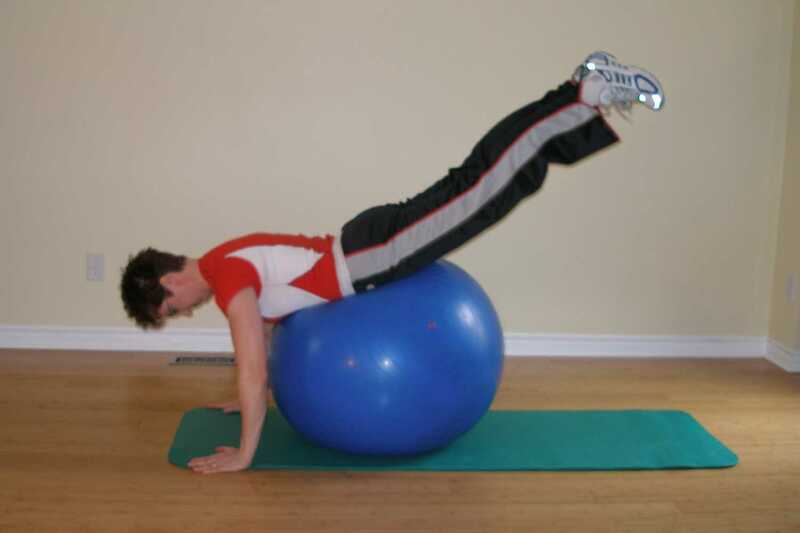 Start the hip extension ball exercise by sliding forward over the ball such that you are lying prone over the ball with the exercise ball under your pelvis and chest slightly raised. Lift your legs toward the ceiling. Use a slow and controlled movement. Avoid allowing your upper body to dip down as you extend your legs. Before you start the hip extension exercise on the ball make sure you have adequate hip flexibility. People that sit at desks all day are often tight in the front of the hips (hip flexors). Undertake an adequate stretching program to maintain your flexibility or to gain more mobility. Your lower back will move out of its neutral position during this exercise as you extend, and then return. Start with small amplitude movements and keep your movements slow and controlled. Avoid quick ballistic movements as these can put excessive strain on your back. Be sure to keep your chin tucked to avoid neck strain. If you find this difficult, try Pike Over the Ball, and Prone Leg Raise 1. Add 1-2 kg ankle weights. Try the Swim Kick with 2 Hand Support. 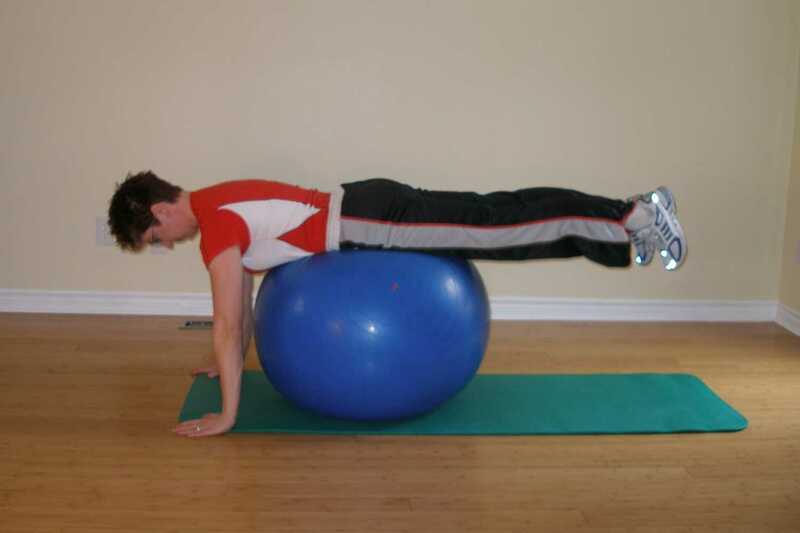 This ball exercise can be considered a more advanced exercise because it demands balance, and total awareness from you about where your lower back sits in relation to your pelvis and the rest of your spine. Do it incorrectly and you can put too much strain on the lower back. Keep movements slow, short, and controlled. Never lose abdominal engagement during this exercise.